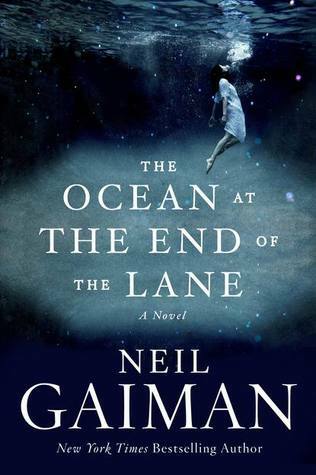 You can’t go wrong reading Neil Gaiman. Seriously. The only thing that keeps me from absolutely raving about this story is that it left me…somewhat…depressed. I can’t explain why…but it did. And I hate ending a story depressed. I’m a happy ending girl (see this post for details). Not that there’s anything wrong with the ending; there isn’t. There’s no scene wherein everyone dies (though one person does, but not anyone I cared about). He didn’t kill the cat or anything. I can’t explain it. It’s probably not his fault at all, but mine. Obviously it touches on some internal baggage that I can’t quite see but I feel, none the less. And isn’t that what great writing does? That said, this story is engrossing, fascinating, a wild trip through imagination, and every bit a mix of Alice in Wonderland and any Roald Dahl story. The language is beautiful. The images are thought provoking and so real you can taste them. It’s not a long book, so you can finish it in one sitting if you want to…and trust me, you’ll want to. It was obvious to me, from this beginning, that we start with the protagonist going to a funeral. What’s not so obvious is who the funeral is for…I don’t think he ever tells us. Whoever has passed on does not really figure into the story. What matters, and the point of the whole thing, is that the protagonist has come home to attend said funeral and ends up taking a trip down memory lane. And his memories are, to say the least, a bit strange. His childhood held moments of wonder that I could only dream of experiencing. Maybe he dreamed them too. Maybe not. Read it and see what you think. This story will take you back to your own childhood. You’ll see it through your adult eyes and perhaps wonder if there was an Ocean that will fit in a bucket if you ask it nicely enough at the end of your lane, too. If there was one at mine, I didn’t notice it, which makes me sad. And perhaps that’s why I was depressed when I finished this story. I read fantasy and science fiction partly for the idea of leaping into the future and seeing what it holds, but mostly because I’d truly love to live in those amazing worlds; fantastical places which are so much more than our own day-to-day life. It makes me sad that ours isn’t like them, I suppose. This book made me nostalgic for childhood magic, lost over time as we “grow up.” How I wish we kept that sense of adventure and wonder through our whole lives. How I wish it were possible. They call it a book for adults but I think it’s a good children’s book too. I think it’s even one that parents could read together with their kids. If you prefer, get the audio book. He reads it himself and his voice is so soothing and amazing, you’ll want to weep. Or hug people. Maybe both. Who knows, maybe it’ll bring a bit of magic back to you for a day. Give it a try. Let me know what you find.